OverviewPersona 3 offers a unique RPG experience, combining elements of Japanese role-playing and dating simulations. 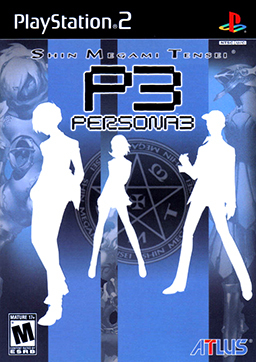 Shin Megami Tensei: Persona 3, called Persona 3 for short, is a Japanese role-playing game from Atlus, released in 2006 in Japan and 2007 in other regions. In Persona 3, you join a group known as the Specialized Extracurricular Execution Squad, known as SEES for short, a group dedicated to investigating and putting an end to the Dark Hour, a time period hidden between one day and the next. During the Dark Hour, things stop working and ordinary people turn into coffins. However, you and the rest of SEES are able to experience the Dark Hour because you have the ability known as Persona, which allows you to explore a labyrinthine known as Tartarus, a procedurally generated dungeon where you fight demons known as Shadows. But that is not all. When it is not the Dark Hour, you are an average high school student, and you do average teenager things such as attending classes, studying for exams, levelling up your Academics, Courage and Charm, going to shops, and making friends (called Social Links) which help you level up your Personas. The experience of this game is rather unique, and the game was released to positive reviews, earning a Metacritic score of 86, and the 69th place on the Top 100 RPGs of All Time list published by IGN. Now you can add videos, screenshots, or other images (cover scans, disc scans, etc.) for P3 - Persona 3 (Europe) to Emuparadise. Do it now!